I like the screw on inflation head rather than the flip on, it takes a few more seconds but provides a secure connection, the relief valve also is nice to fine tune your pressure exactly, and the gauge reads easily. The fit and finish seem nice, but pumping action seems just a bit spindly such that it almost feels like one could bend the pump arm if you don't go straight up and down. Overall, though, it is a nice pump. I should have bought it sooner, worth the money. 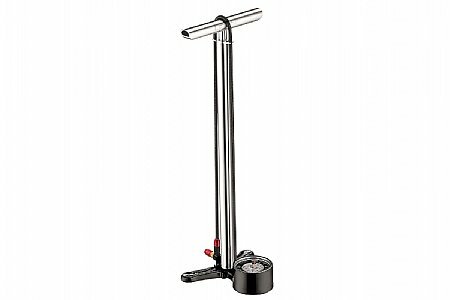 If you are looking for a reasonable priced tire pump which does what it advertises to do, and you want a specific air pressure, this is the pump. It is as precise as the digital version with no needs to worry about batteries.